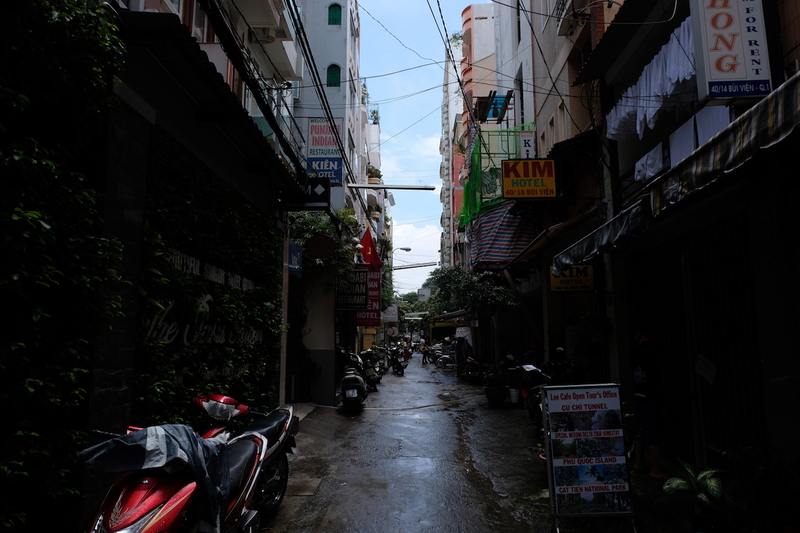 A few months ago, we finally got to go back to Vietnam – this time, to the southern part of the country – to the city of Ho Chi Minh, otherwise known as Saigon. Previously, I had researched on the attractions to visit, but we initially decided not to book any day tours, up until a day before our flight out of Manila! Luckily, Viator has a 48-hour booking policy; we made the booking just in the nick of time, two days prior to when we wanted to go! Everything went smoothly with the booking, as we were sent the confirmation, and a follow-up email from Viator’s local travel partner: TNK Travel. We were scheduled to be picked-up bright and early on our second day in the city, and were excited for what the day had in store for us! 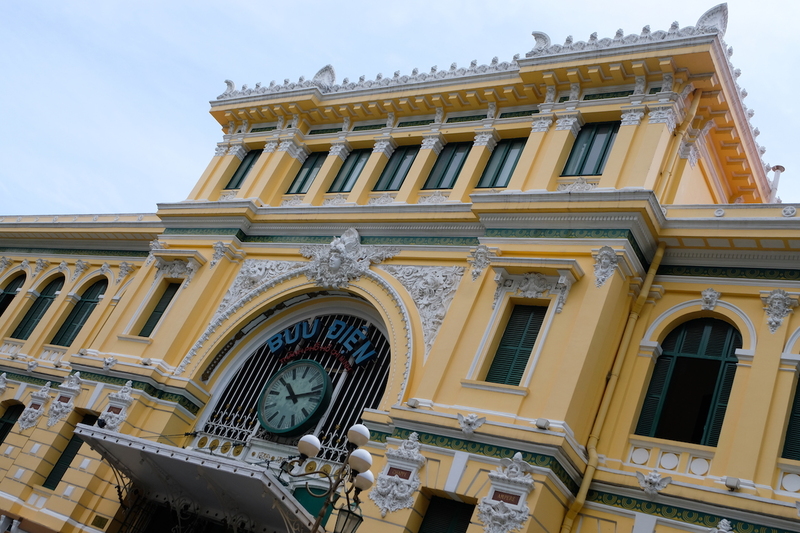 This day tour from Ho Chi Minh takes you through some of the city’s main attractions in a quick yet perfectly-paced manner. 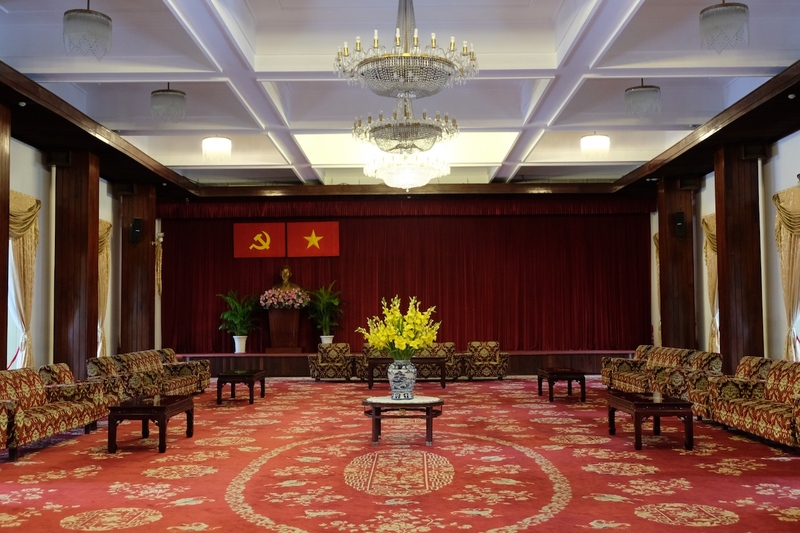 Despite the tour lasting for only a day, you’ll get even more than you’ve bargained for, as you begin the day in the renowned Independence Palace of Vietnam. 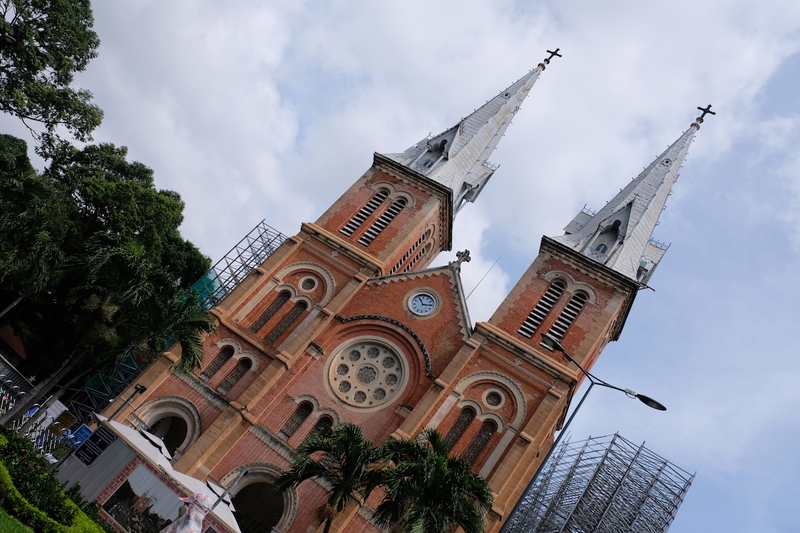 You’ll then proceed to set your sights on the Notre-Dame Cathedral Basilica of Saigon and its neighboring Central Post Office. 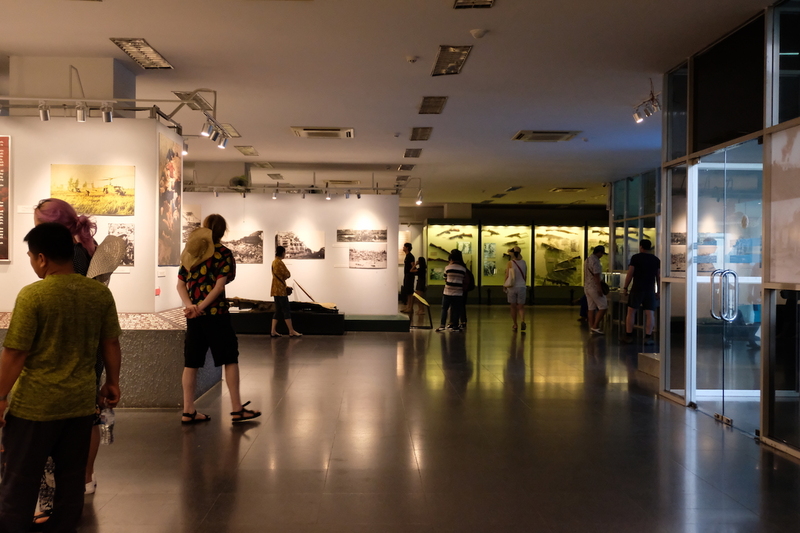 Your day in the city doesn’t stop there, as the tour will then bring you to the must-visit museum in the city: the War Remnants Museum. 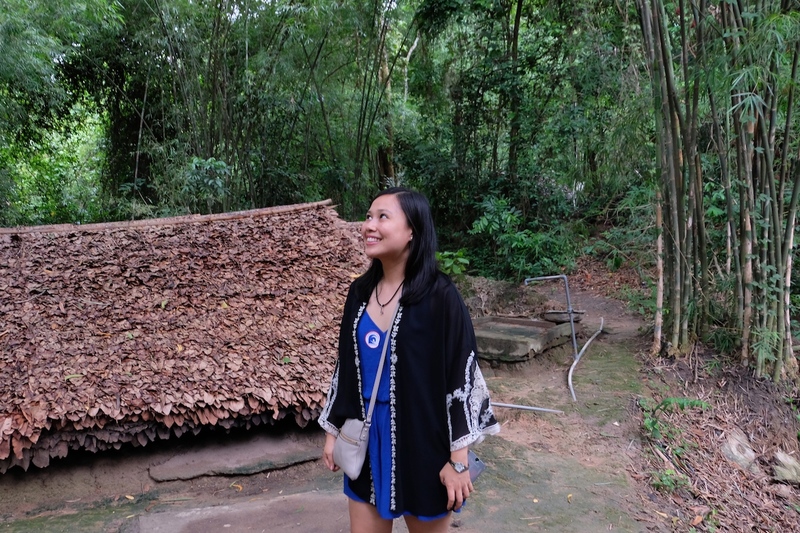 And finally, you’ll proceed to Củ Chi Tunnels for the rest of the afternoon, but not without a sumptuous lunch and a stopover in a lacquer painting shop called Handicapped Handicrafts, with a beautiful story behind it all. And now, to zone-in on all the attractions we visited while on this tour, let me begin with the most iconic attraction in all of Ho Chi Minh. 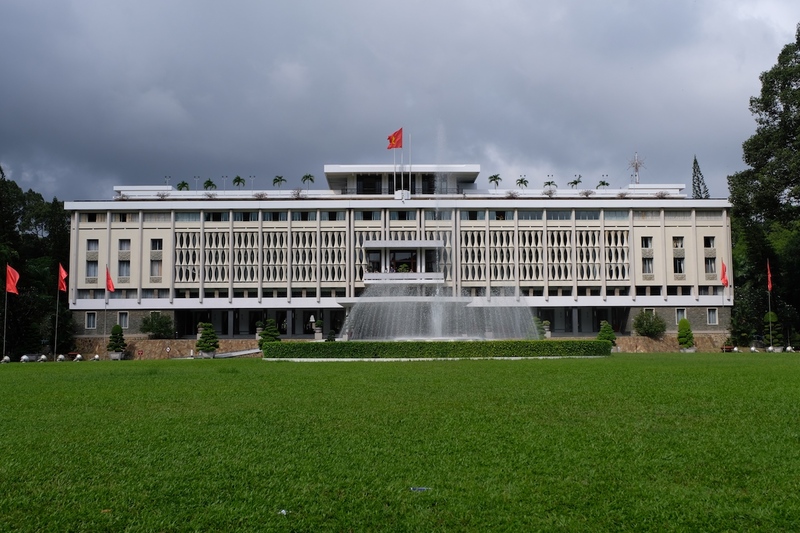 Also known as the Reunification Palace, I deem the Independence Palace in Ho Chi Minh as the most iconic attraction in the city, as many historical events took place here through the decades. 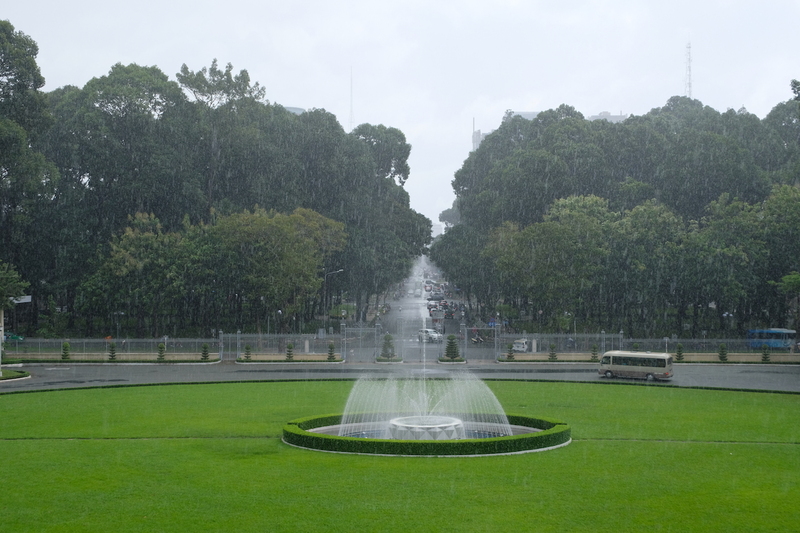 During the Vietnam War, the Palace was home to the President of South Vietnam. 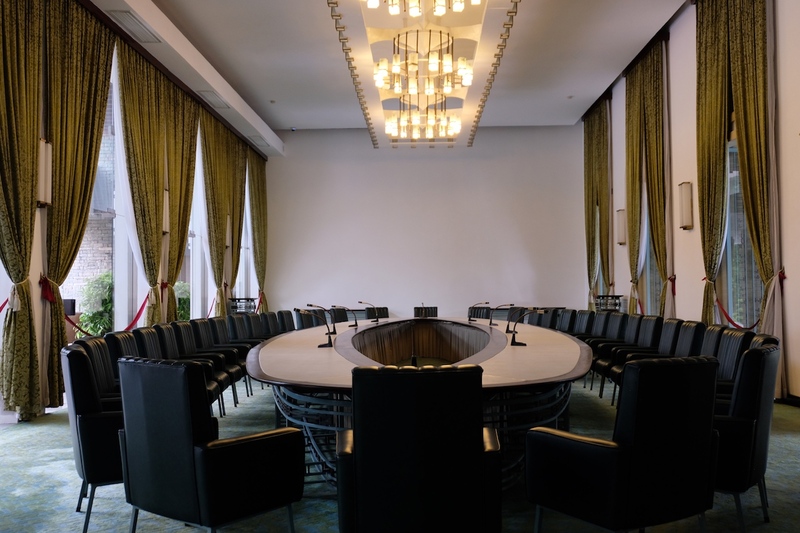 In the more recent years, this was where the negotiation to unify North and South Vietnam took place. There are several highlights in the Independence Palace that one mustn’t miss while visiting the city, and a multitude of facts about it that is important for everyone visiting Vietnam to learn, so I’ll leave it up to you to find out for yourselves once you get to visit, but here are a few snapshots of the sprawling and gorgeous estate. 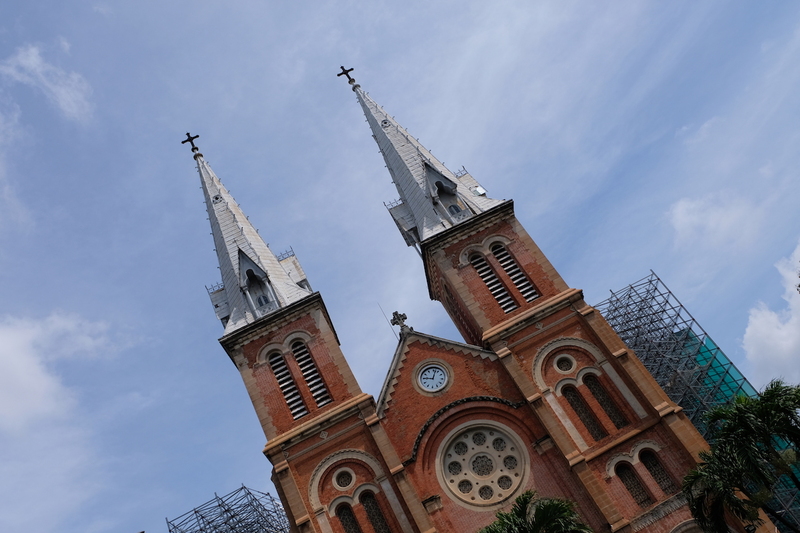 Next on our itinerary was the Notre-Dame Cathedral Basilica, established back in the late 1800s during the French colonial era. Located in the downtown area of the city and within a few minutes walk of the Independence Palace, this beautiful structure sits in the midst of contemporary buildings, standing out among the rest, as it exudes French architecture. Unfortunately, during our visit, the interiors were closed-off to visitors; but that didn’t stop us from admiring what the exteriors had to offer. 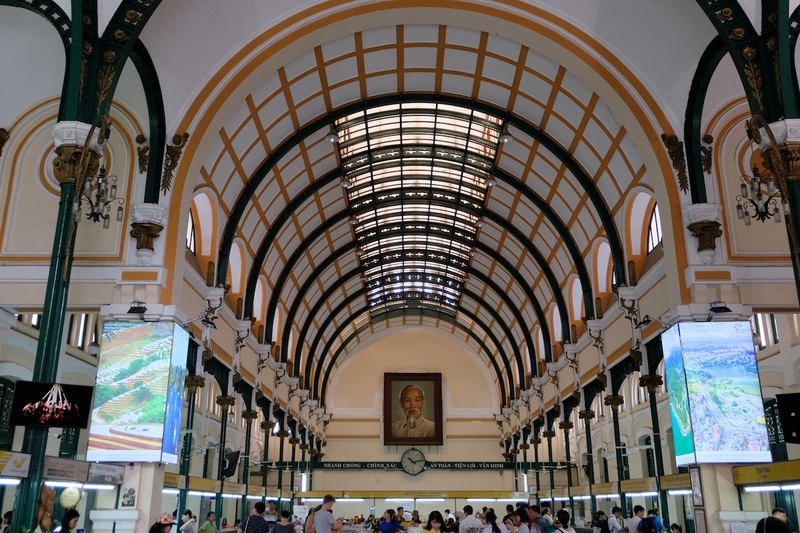 Yet another architectural marvel in the city that sits right across the Notre-Dame is the Saigon Central Post Office, whose intricacies were influenced by French, Gothic, and Renaissance architecture. Now existing as a tourist attraction, it’s where you could scout for local finds from pieces of clothing, jewelry, souvenirs, and so on. This might be one of the highlights of our entire trip. 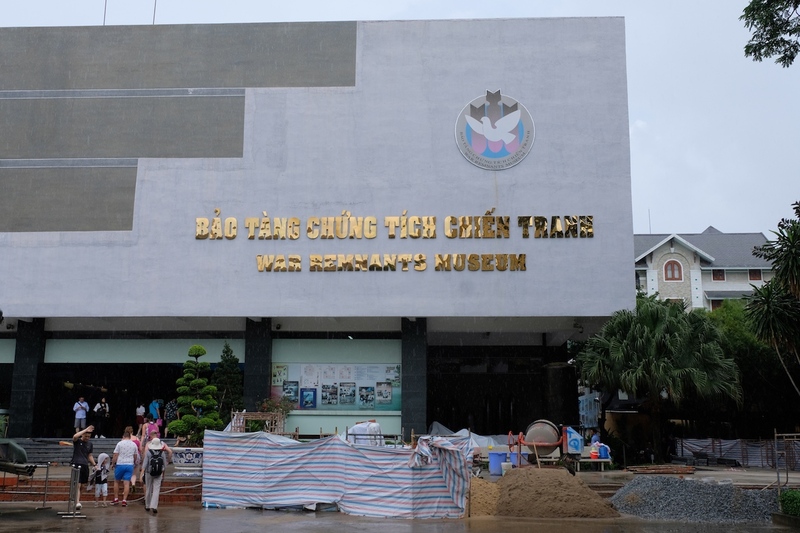 Located in District 3 is the War Remnants Museum, dedicated to exhibits relating to the Indochina War and the more-recent Vietnam War. While the architecture doesn’t boast of the same grandeur of other museums I had visited, it was the flow and the content therein that struck me the most. Not only did the atrocities and outrageous acts of cruelty exhibited affect me emotionally, but more-so did the after-effect of the Vietnam War – one of those being Agent Orange, by which affects several generations after those who were first exposed. 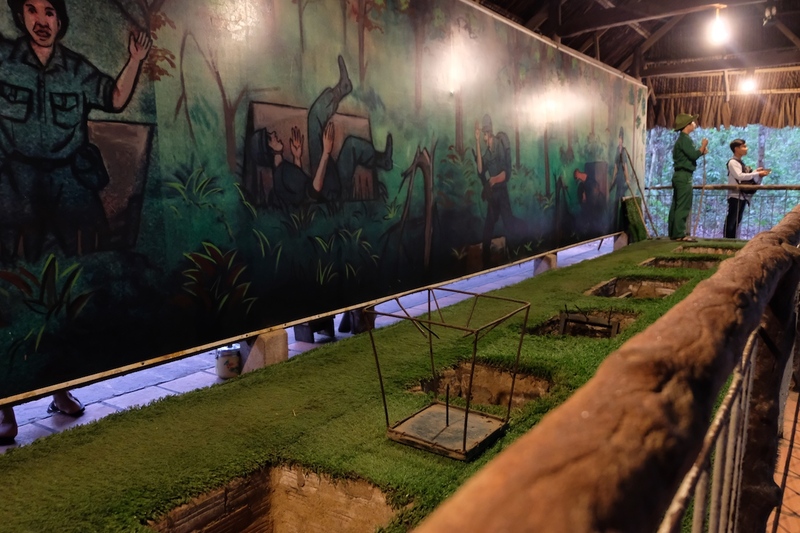 Again, this is something you must experience and read about firsthand, which is something the War Remnants Museum doesn’t fall short of. 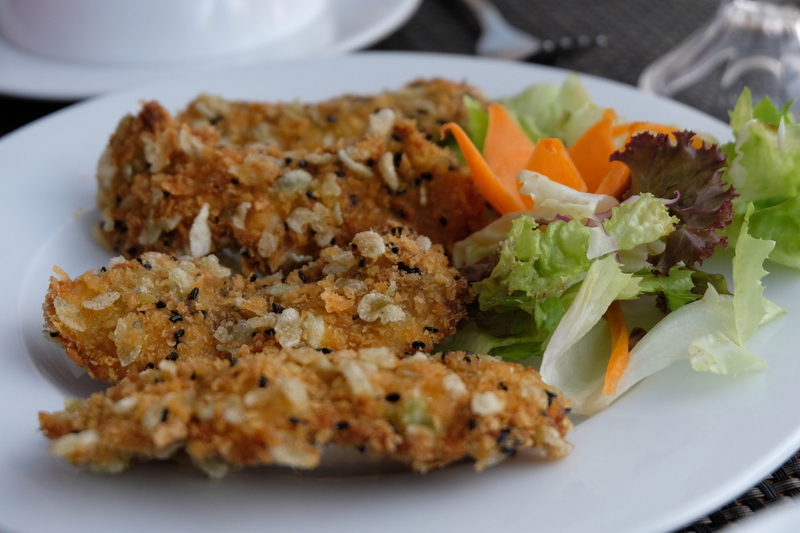 After a long morning scouring through the city of Ho Chi Minh from one landmark to another, we were famished. 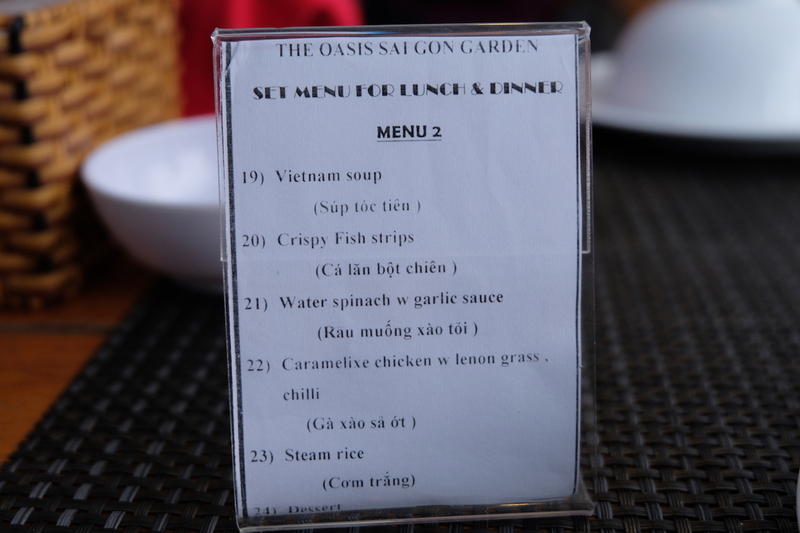 Luckily, we were brought to a partner restaurant of TNK Travel that served delicious local dishes. Needless to say, we were full to the core by the end of the meal. With the price that we paid for the day tour, we didn’t know that the complimentary lunch would be as generous! 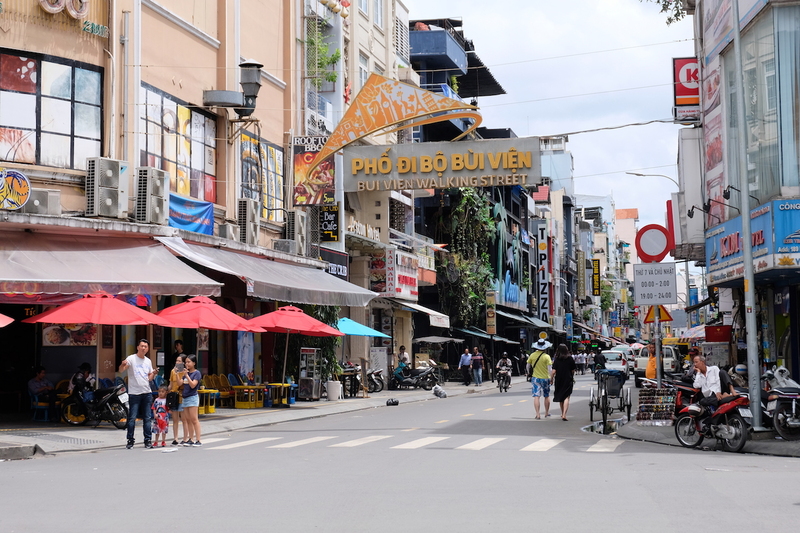 Once lunch finished, we had a few minutes to spare to walk around Bui Vien Walking Street before heading back on the bus to proceed to the latter half of our day tour. 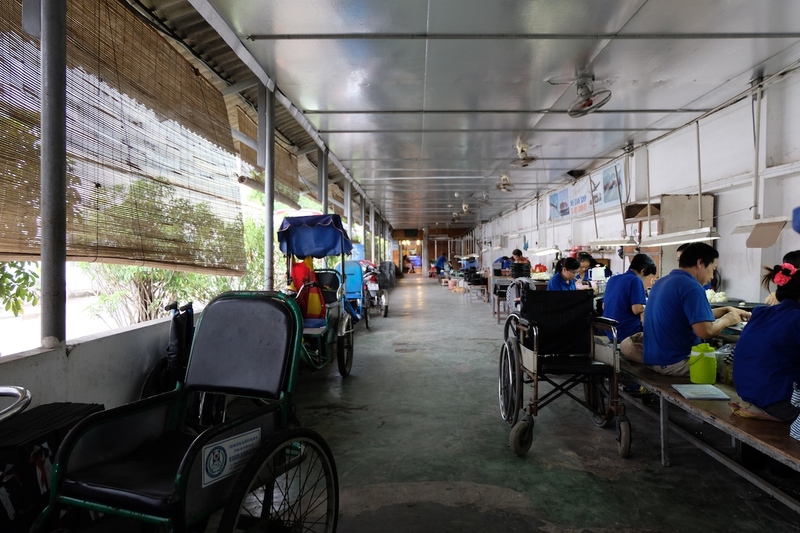 As we made our way to Củ Chi Tunnels, situated more than 130km from the city of Ho Chi Minh, for the remainder of the day, we made a stop in Handicapped Handicrafts during the later half of the trip over. 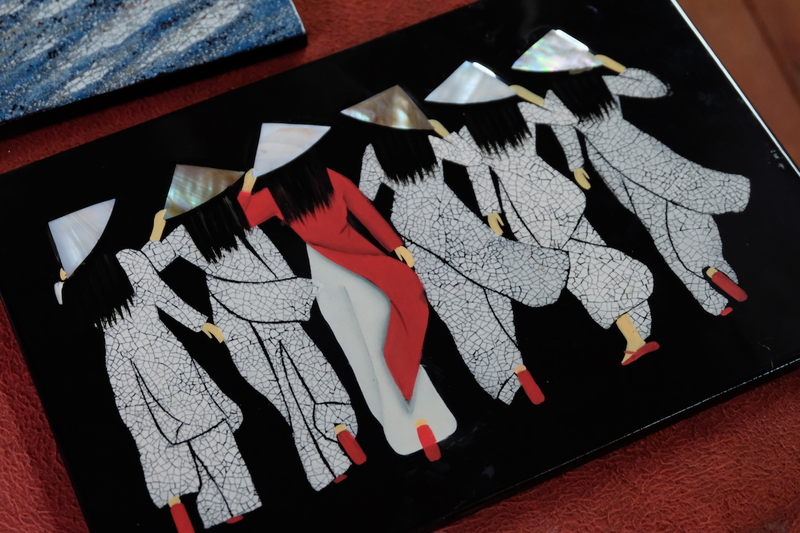 Herein, hand-painted lacquer pieces are made and displayed by handicapped men and woman, majority of whom were relatives of those affected by Agent Orange. 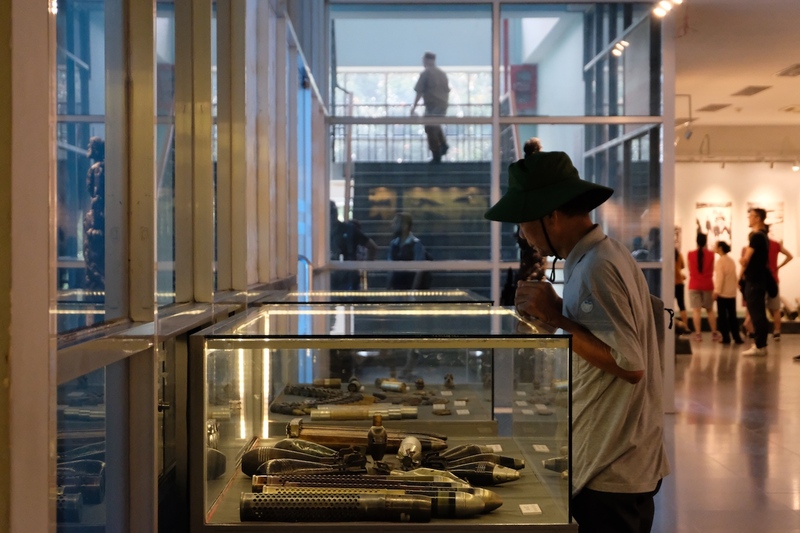 It felt like an echo that resonated from when I first heard of the lengthy and costly effects of Agent Orange in the museum earlier that day down to when we met some of those who were affected. Had it not been for their warm smiles, I would have broken down right then and there; but again, their lives are a testament to thriving despite the circumstances one is born in. 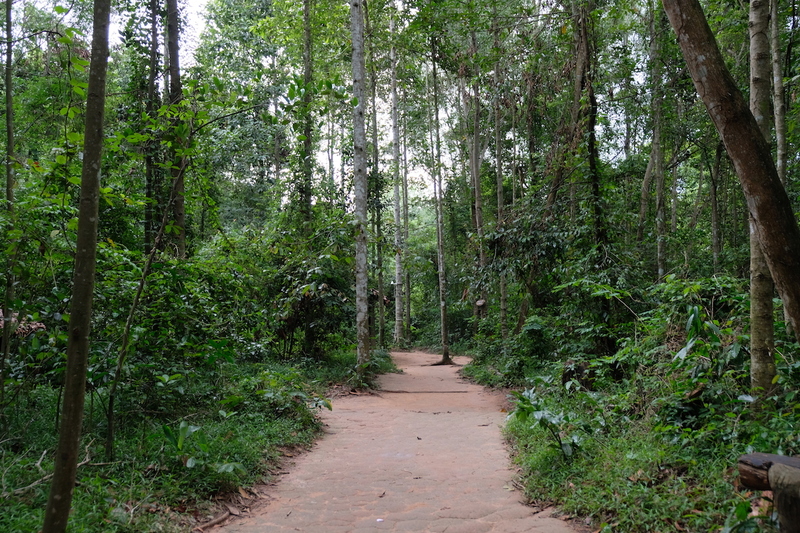 After what nearly was a three-hour drive from the city, we arrived in Củ Chi, where we were led into the middle of the forest that contained a network of underground tunnels utilized during the Vietnam War. Take note that if you’re claustrophobic, don’t worry: majority of the tour is spent on ground, and it is only an option to go inside the tunnels. Should you decide that you’re not ready to be in an enclosed space, you don’t have to do it! 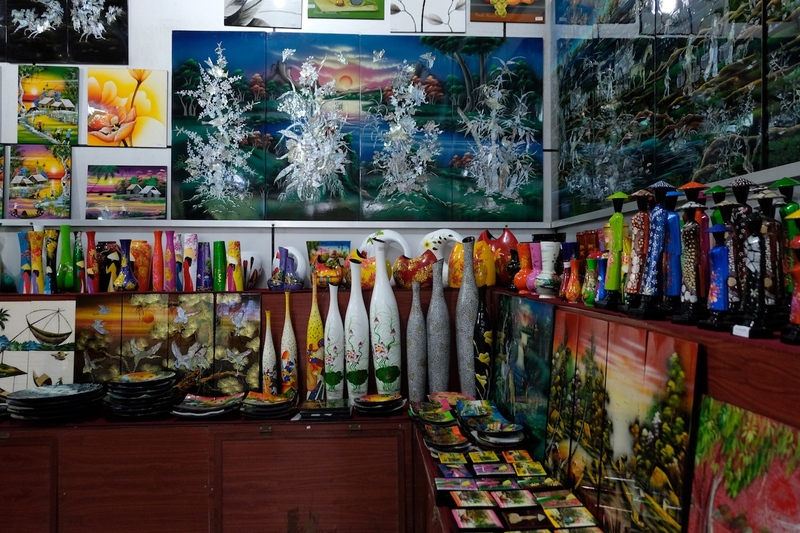 Aside from the jungle and the tunnels, you’ll find a shooting range and a small store with gorgeous souvenirs you could bring home. More importantly, however, this is where we learned all about the brilliant tactics the Vietnamese used as a strategy during the Vietnam War. Though I will no longer go into detail, let me leave it at this: it truly was jungle warfare at its finest. The drive back will be longer than the trip over, so get ready for a long drive. Do what I did, and get some eye-shut while on the ride back, so you’ll have more than enough energy for the rest of the night as you spend it in the city; besides, after the long, exciting day, some rest doesn’t sound bad at all, does it?